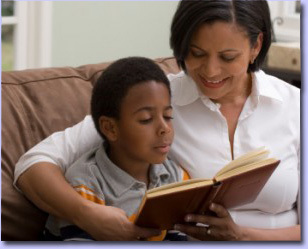 Sands Reading Cards are the most effective tools for teaching children to read and were developed by Esther R. Sands, Fellow of the Academy of Orton-Gillingham Practitioners and Educators. 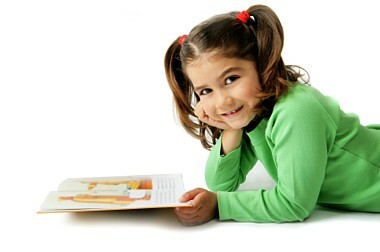 They have helped thousands of children learn to read and will help your children in the classroom or at home. Picture Sound Cards to introduce sounds. Letter Sound Cards to reinforce the sound. 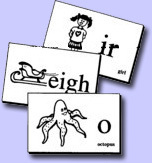 Alphabet Sound Cards for display in the classroom. Audio CD to hear and practice the correct pronunciation of sounds. 92 cards (8½" x 5½") with illustrations corresponding to the sound of the letter or letter combinations. Includes the vowel sounds, vowel digraphs, diphthongs, consonants, consonant digraphs, and silent letters. The pictures are key to reinforce memory when memory fails. 94 printed letter cards (5½" x 4¼"), without pictures, to reinforce the sounds. Includes 16 additional practice cards for the hard and soft sounds of "c" and "g". 26 large alphabet wall cards (8½" x 11") for display in the classroom. Illustrations are coordinated with the Picture Sound Cards. An uppercase and lowercase letter is shown on top of the card and the standard typed letter, often found in books, is below. The audio cassette is the soundtrack for the Picture Sound Cards. It enables the listener to hear and practice the correct pronunciation for each sound. The listener can stop the tape after five or ten sounds and review as needed.